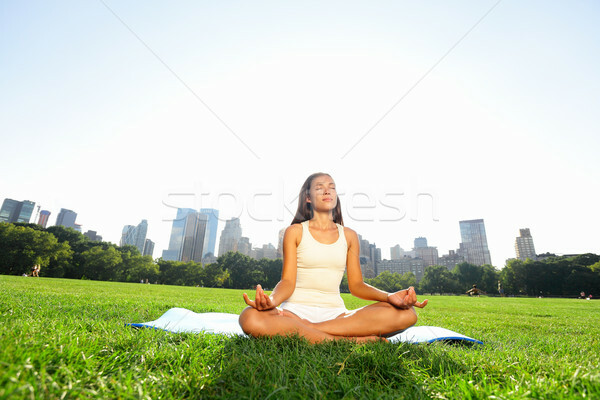 Stock fotó: Meditál · nő · meditáció · New · York · park · New · York / Meditating woman in meditation in New York City Central Park in yoga pose. Girl relaxing with serene relaxed expression outside in summer. Beautiful young mixed race Asian Caucasian female model.